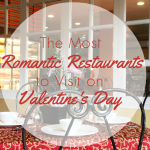 February is the most romantic month of the year. 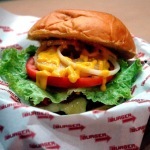 Everyone, including singles, is excited to celebrate Valentine’s day with their loved ones. Although we are all delighted and enthusiastic for the occasion, this day also become a burden to us, particularly on our wallet, because in the real world V-day love doesn’t always come cheap. As the 14th of February gets underway, most people are probably stressing over the perfect gift for their special someone. If money wasn’t an issue, you’d surely purchase some expensive and designer goods or book an overseas trip with your partner. 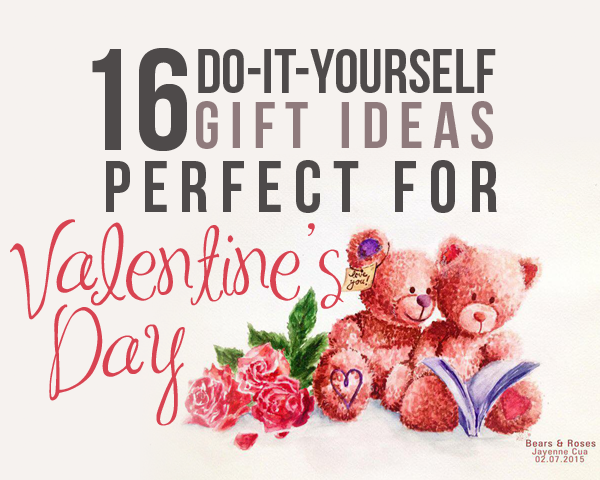 But since you have a tight budget and you can’t afford to drain your bank account, perhaps thinking of alternative yet not-so-fancy romantic presents is a better way to show your overwhelming love to your significant other. You can still make your V-date extra-special by doing activities and giving gifts that won’t necessarily hurt your pockets. Sending a bouquet, boxes of chocolates, stuffed bear or cheesy Hallmark greeting card is too cliche and expensive in every special occasion. To help you put your budget in sync, like your relationship, and express your one-of-a-kind love to your partner, making something handcrafted is often ideal as it shows how much love and care you’ve put into it. 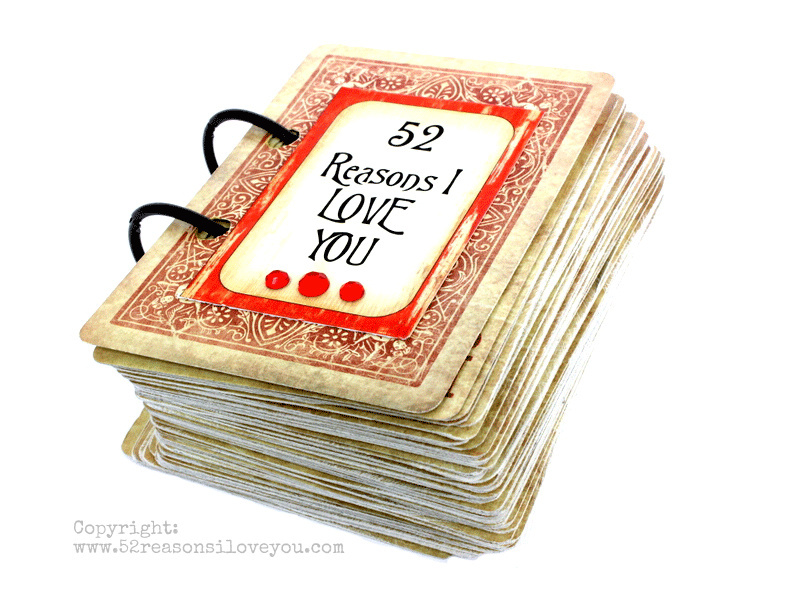 Instead of buying an ordinary Valentine greeting card for your special someone, why not try to show off your creativity and make a meaningful and cute craft using a 52-card deck. In each piece, write the reason why he or she is important to you. You can also try to design it like a deck of your shared memories. Start your own mason jar project and make a unique and ingenious creation. 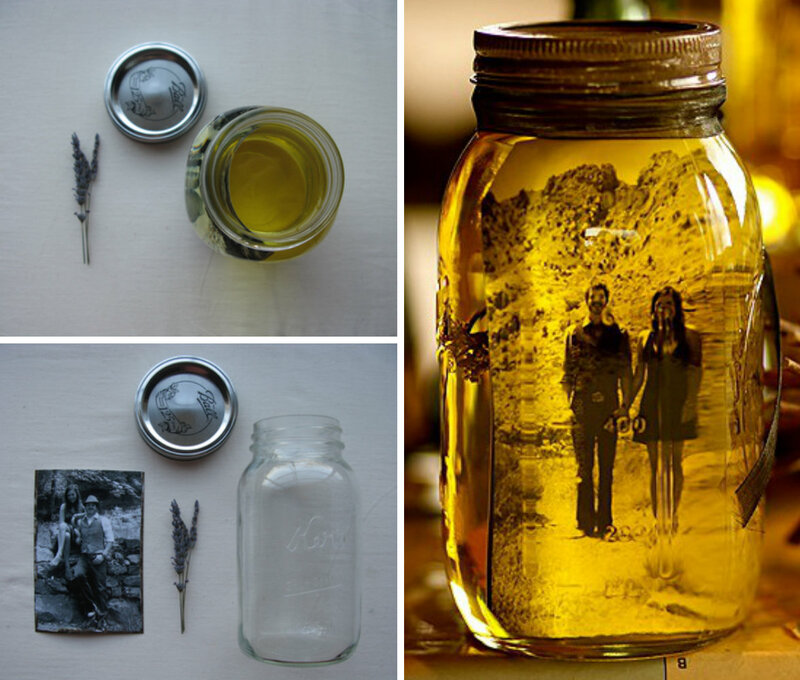 Pick a photo of you and your loved one and simply put it inside the jar. Do not forget to include some pebbles or dried flowers and leaves to add some cool or vintage effect on the project. This photo frame is nothing fancy nor complicated, but it has a certain charm that your partner would definitely appreciate. 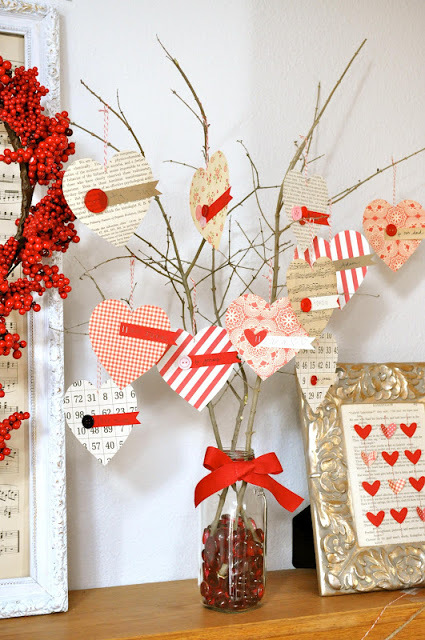 Decorating your home with a Valentine tree makes you recapture some of the magic and wonder of the season—the spirit of Valentine’s day. Make your tree more personal by adding some love notes with a short sweet message written on it. It doesn’t matter how simple or intricate the tree or card that you will make is, it’s actually the effort that counts. 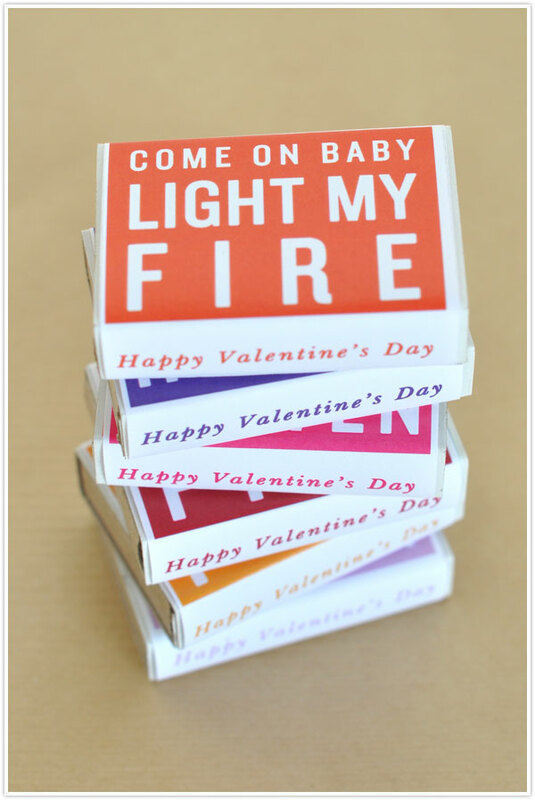 If you are already feeling the love these days and want to share it not only with your boyfriend or girlfriend but with your family, friends and colleagues as well, matchbox valentines is the solution to your gift-giving woes. Decorate altered and empty matchboxes with patterned papers, ribbon, buttons and glitters and turn it into a whimsical small boxes. Put a little note or a booklet inside the matchbox, wishing everyone a Happy Valentine’s Day, then deliver it to people you love. 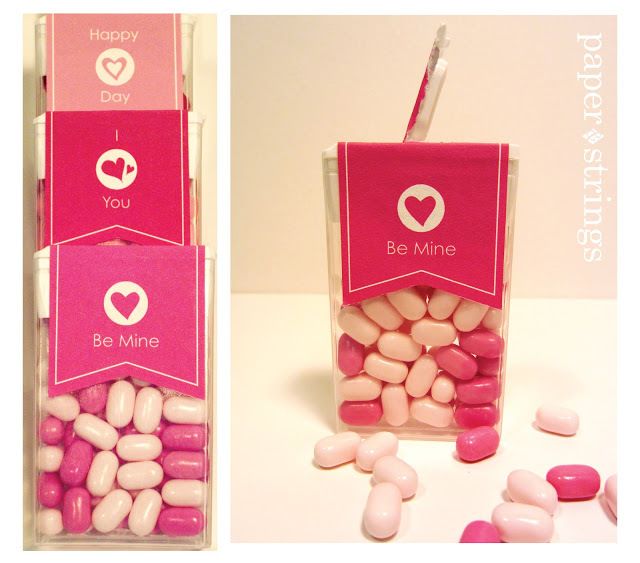 Apart from a matchbox, you can also use a box of Tic Tac to create a cool and cute Valentine treat. For this craft, the only materials that you need are a few packs of tic tac, glue stick, scissor, and printed Valentine labels. This present would make an adorable and super easy love-day gift for your friends and dear ones. 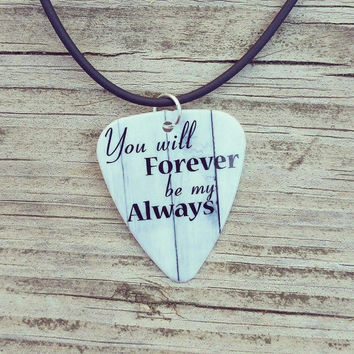 For couples who are music fans, a wonderful way to make your V-day exceptional is to make a personalized guitar pick pendant. This is an awesome gift for your other half because they could wear it anytime and anywhere. 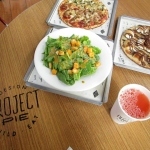 This project is quite simple to do. If you will use a metal pick you can design it by engraving both of your initials on it. But if you prefer a celluloid material, you can still indulge your crafty side and create a custom pick just like the picture above. One of my favorite scenes from the Thai movie, A Little Thing Called Love, is when P’shone (Mario Maurer) gives Nam (Pimchanok Lerwisetpibol) a rose plant. Not the usual long stem rose or bouquet that wither easily but bare-root roses. Isn’t it sweet and romantic to receive such gift? A dozen roses is the usual offering for Valentine’s Day. If you want to be different, giving a potted plant is a better choice. Spread the Valentine joy by giving your special someone a thoughtful gift that’s aesthetically pleasing, healthy, less pricey and green! Not everyone loves chocolate. 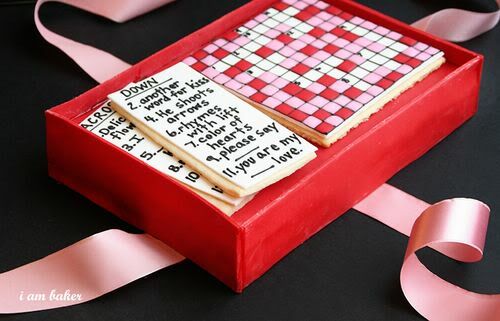 But if you want to give something sweets this love season you can try a very clever and off-beat present, a Valentine crossword cake. Unleash the creative artist inside of you and make the perfect sweet for your sweetheart. 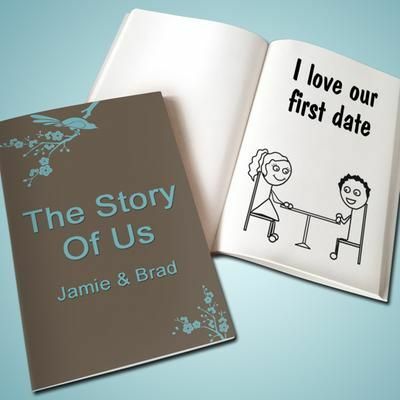 If you and your partner are the literary sort, writing your own love storybook can be a great option. Telling your personal love story in a chronological order is an immensely romantic Valentine’s Day idea. Surprise your partner by taking the time to record every significant part of your lives on paper and compile it into a book. There is nothing more exciting and sentimental than knowing the moments and experiences you’ve shared and how long you’ve been together as a couple. Do you love playing board games with your partner? 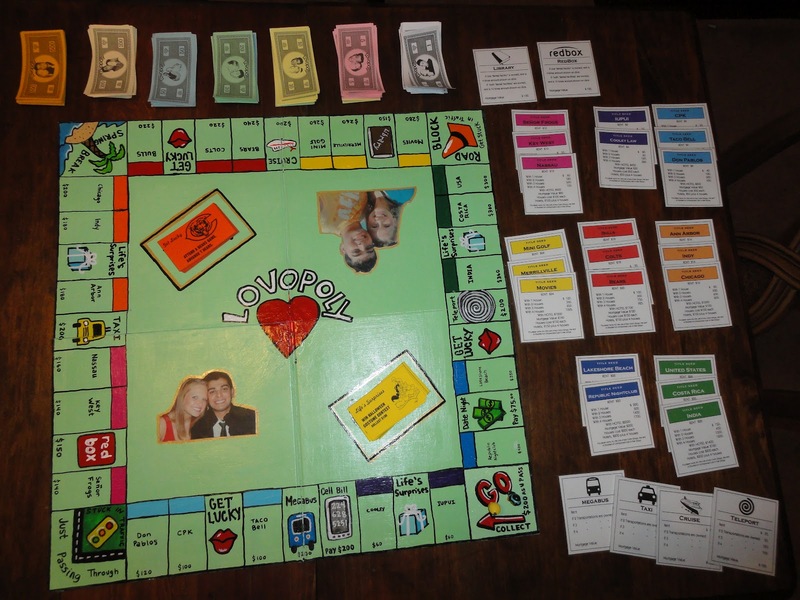 If yes, then you can get inspiration from your favorite game just like this lovopoly board game. This would be a perfect gift for your sweetheart this season. Create your personalized version of your fave board game and use some materials you can find at the comfort of your home. Valentine’s day is not only about women receiving flowers and box of chocolates. Men also want to feel special and don’t want to feel left out during this occasion. The idea of making customized beer labels is very simple yet effective present. 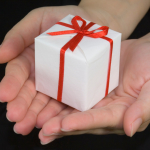 Simple gifts are actually the best and this idea is something that guys will surely love. 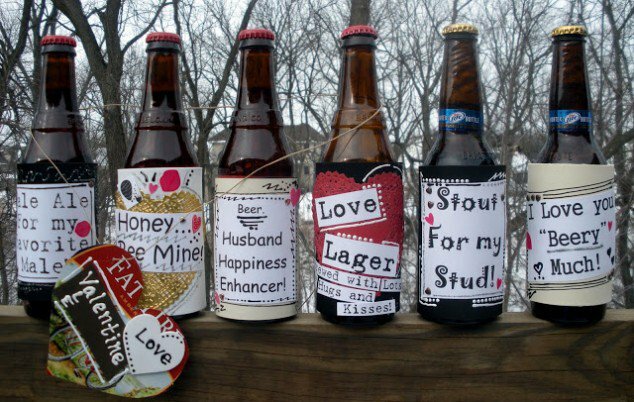 Aside from beer, you can also use other bottles of beverages that your partner like. When choosing a gift for your loved one try to find something that is personal and never gets old, handmade gift cards or love coupons is one of the best examples of this type of present. Actually, it could be the best gift that you could give to your significant other. 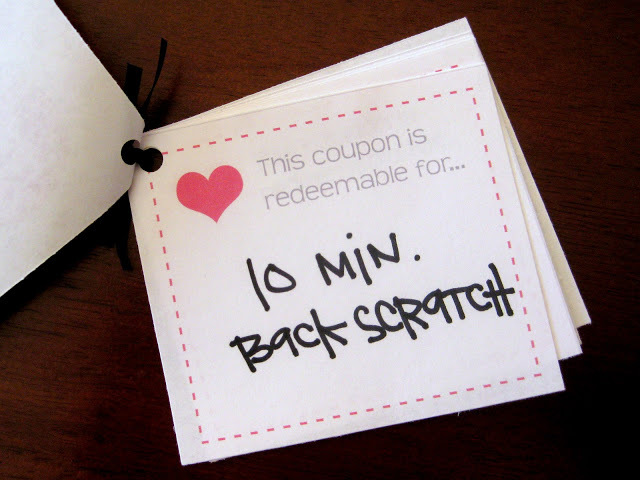 For the coupons, you could write one for a massage, one for a free home-cooked dinner, one for a movie treat and one for any house chore. 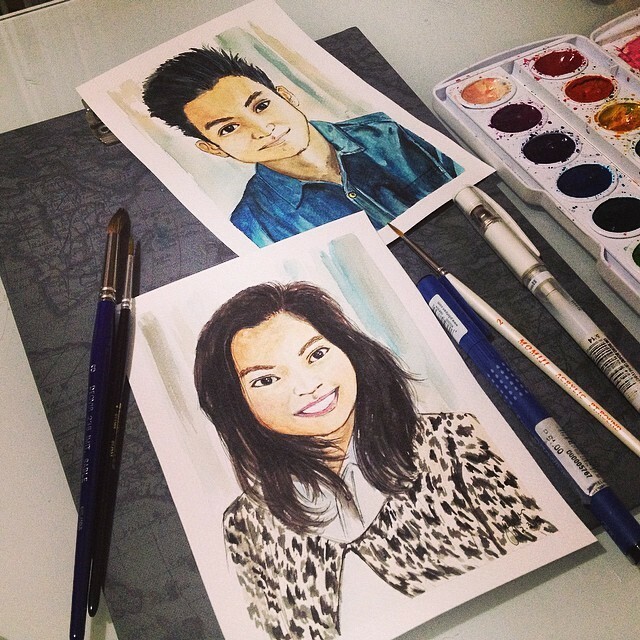 Let your special someone knows that you remember their pretty smile and beautiful personality through custom portrait. The most romantic and thoughtful gift item that you can prepare for the Valentine’s day is an amazing and wonderful custom portrait. This is cheaper than jewelries and much more personalized that you and your partner could cherish for the rest of your lives. If you lack skills or talent to do such artwork, you may ask an artist friend for a favor, just like what I did (hehe). But of course, do not forget to give him or her a token of appreciation for the effort. You can visit Jayenne Cua’s facebook page for more beautiful and breathtaking portraits and artworks. Get any picture you both hold dearly and let it be recreated artistically in different mediums. For lovers and couples who are avid travelers, a customized photo map is a fantastic and brilliant idea that you could mimic. It’s a good combination of map and photos for a wonderful present. 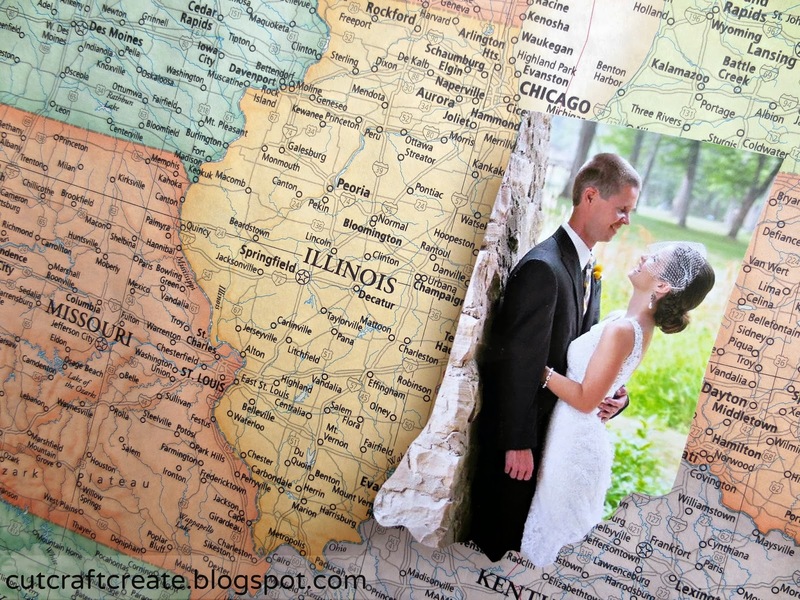 You can cut your pictures together in the shape of the states or country you’ve been to and place or pin the photos unto the map board. This is a perfectly personalized map that shares your love story and travels together. Solving a rubik’s cube is challenging and quite frustrating. If you have a geeky partner who enjoys solving puzzle, he’ll absolutely appreciate a personalized rubik’s cube. Print some of your photos together and peel off the stickers on the cube. 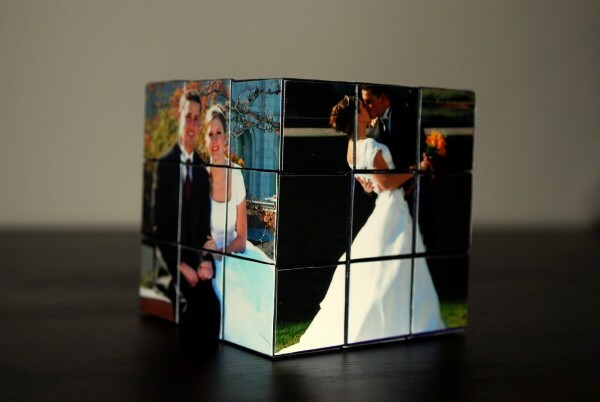 Then, cut your pictures according to the size of the inside squares and paste it unto the cube. 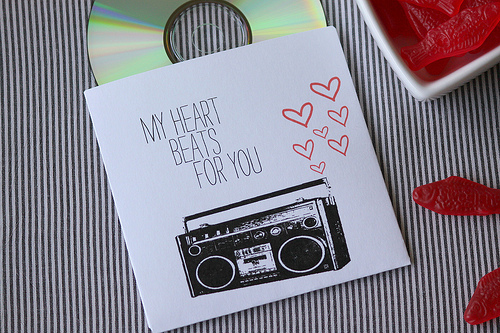 You can never go wrong for CD mixtape as a Valentine present because it is one of the best gifts of all time. To get the perfect mix for your love, you have to spend hours choosing the right songs, putting them in the right order, and crafting personalized artwork for the packaging and CD itself. You can use a fine-point Sharpie and colored pencils to design your CD and case. Be creative and have fun in making a mixtape! 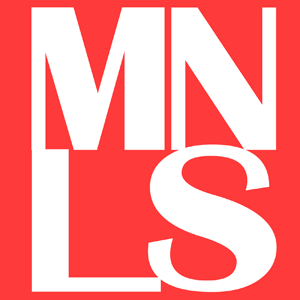 Check out our Monday Mixtape features for some ideas. You can pull off the best Valentine’s day surprise ever by making any of these DIY gift suggestions. 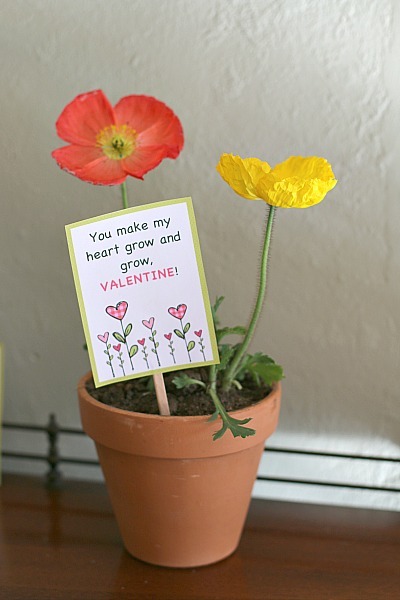 Can you add more do-it-yourself gift ideas for Valentine’s day? Share it with us below!